BioHazard Seeds is an Spanish seedbank, specialized in selecting and preserving new top grade strains of cannabis, feminized and autoflowering. BioHazard Seeds seedbank offers top quality seeds, for professionals and aficionado, easy to grow, with good yielding options, for a cheap price. BioHazard Seeds breeders have involved in strain developement to get marijuana strains that overstand by its flavours, and strength, selecting genetics from early 90s, and bringing them to market once deep testing is done, to asure every seed sold by this seedbank will satisfy growers who choose them in their gardens. 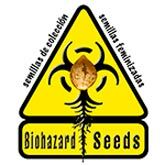 Biohazard seeds are selected manually, discarting all those that don't achieve desired quality standards. 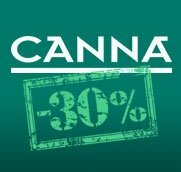 In their seed catalogue we'll find feminized seeds, and autoflowering seeds, available in packs of 1 seed, 3 seeds, 5 eeds, 10 seeds and 25 seeds, allowing all growers to get top grade strains for a reasonable price, and also to grow different strains under th esame grow-light. 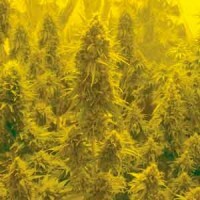 Biohazard Seeds Auto 4:20 seeds produce one of the largest yielding autoflowering plants in market. Auto 4.20 marijuana strain is easy to grow, even for less experienced growers, being a crossing between two well-known strains like Deimos and Auto Mazar. Auto 4-20 cannabis flowers have a sweet taste, leaving a relaxing and pleasant effect to tokers. Auto Chingón is another autoflowering strain by Biohazard Seeds that overstands by its ease of growth and heavy yields, besides its top grade quality, flavour and taste of its crops. Auto Chingón marijuana has a sweet taste, leaving a pleasant and relaxing effect when consuming. A very good strains to grow indoors and outdoors, with an overall height up tp 8'-120 cm. 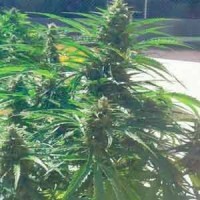 Auto Kratos seeds by Biohazard Seeds produce autoflowwering plants, able to produce up to 500 grams per squared meter indoors, and up to 120 grams per plant outdoors. In addition it sources you with an excellent crop, Auto Kratos marijuana is characterized by a spicy aroma, sweet taste and energetic effect that will keep you with a constant smile. Auto Power cannabis seeds are the first autoflowering strain that appeared in market by Biohazard Seeds. Auto Power marijuana plants are a hybrid Rudelaris x Northern Lights, that can reach up to 1 meter height, with an average yield of 75 grams per plant. The aroma of its flowers is afghani, with a sweet and musky. Auto Somachigun seeds by Biohazard Seeds produce female autoflowering cannabis plants, that get an overstanding yield, and quality, for an autoflowering strain. Auto Somachigun marijuana plants are born from a crossing Critical+ x Ak47, sourcing growers with fruity flowers, and an energetic effect, ideal for any time of the day. Auto Somachigun will be ready to harvest in just 75 days from germination, being a quick option, heavy yielder, and top grade quality wether grown indoors or outdoors. 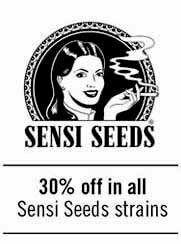 Biohazard Seeds Criminal Jack cannabis seeds are an amazing cross between two champions like Critical+ and Jack herer. Criminal Jack marijuana plants have a quick growth, with a good side-branching, and a large internodal space, that will be filled at late flowering. 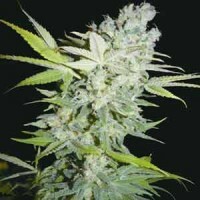 Plants will finish its flowering time in 50-55 days with a very good amount of buds loaded with high quality resin. Biohazard Seeds Jawar seeds result from a triple cross JAck Herer x Warlock x Northern Lights that you'll enjoy non-stop. Jawar marijuana plants are a mostly indica hybrid, medium yielder, and moderate resitance against mold, what makes her an optimal choice to grow indoors (60-65 days) and outdoors (Early October). Napalm is a bomb bred by Biohazard Seeds breeders. This strain will surprise even most experienced growers, who will see its amazing vigourosity, and quick flowering timee, besides the strength of its flowers. Napalm marijuana plants are ready to harvest in 9 weeks, being a resistant strain against mold, with a citrus taste and flavour, and an energetic, antistress effect. Biohazard Seeds Psicotropic seeds are probably the best option for those growers looking for a quick crop, of course with a good quality and good yields. This crossing Nepal x Critical has a flowering time of only 45 days, being a strain resistant against mold, with citrus and spicy flavourm sweet taste and psychotropic effect. Psicotropic marijuana is ideal for less experienced growers indoors and outdoors.